Discovering a book I did not know existed until today, I shall share this with you all starting tomorrow. Meditating on this passage from John's Gospel this morning, I had an insight into the moment of the change of the water into the wine. Perhaps some of you have thought of this, but I have not. Christ took ordinary water, which represents "natural marriage" and turned it into "supernatural marriage" symbolized by the wine. Water is good, but wine brings joy and is good for the heart. Natural marriages, outside the sacrament, do not last, cannot bear fruit, as these marriages have no sanctifying grace, no healthy property, no real joy. Water changed into wine, the natural to the supernatural, brings the life of God into the very core of the marriage. The Blood of Christ, given to us at the Last Supper, the beginning of the Passion, is given to us at every Mass in the wine, the unbloody sacrifice at Calvary. His Blood changes our hearts. There is no difference between the Blood of Christ gushing forth in the Passion and the Blood of Christ given to us at Mass. Natural blood of humans was sanctified and is by the Incarnation, by the fact that God became man. We are sanctified in Christ, through the sacraments, through baptism, symbolized by the water coming from the side of Christ, washing us clean of Original Sin, the Body and Blood of Christ, given to us every day in the sacrament of the Eucharist, and the Blood of Christ making us new in the sacrament of marriage, washing out natural marriage in the corrupted bodies and souls of men and women and making us new in Christ. 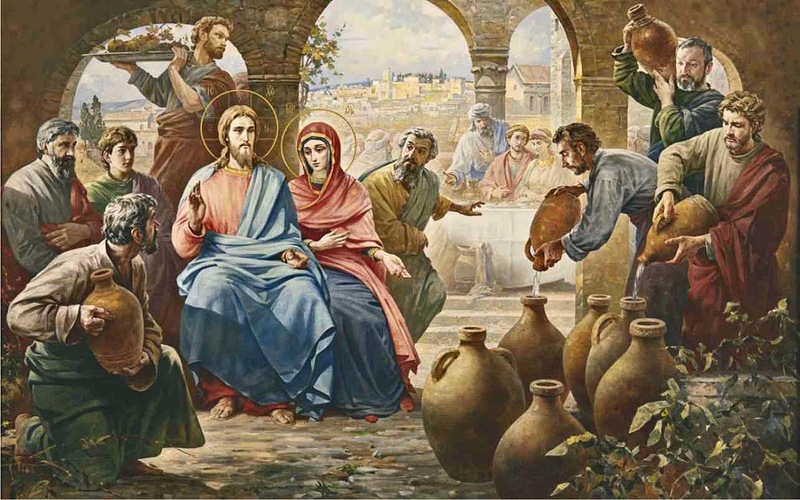 Literally, the sacrament of matrimony became so at the Wedding Feast of Cana, by and through Christ, the wine symbolizing His Passion, to road to which began that day through Mary's intercession, making her, indeed, the Mediatrix of all graces. Mary asked Christ to make wine, but He did more. He made marriage holy, a way to God, the way of salvation for those who choose to make the promise to take each other to heaven. Christ is the Way, the Truth and the Life, in marriage, in all of our lives. His Blood joins with us, in our relationships, our loves, our trials. That Mary began Christ's public ministry by asking Him to have pity on the bride and groom, (and some commentaries of old notes it was Nathaniel's marriage, which is why Jesus' apostles were there are guests as well), means that she leads us to Christ through the Cross. Her request, her being called Woman is echoed at the foot of the Cross, when she agreed to the Passion and Death of Her Son. So be it...Mary, Our Mediatrix and Our Co-Redemptorix. For those contemplating marriage, choose the life of the Body and Blood of Christ. Become sacrament to each other. Bring each other to Christ daily, and at the hour of your death. Water to wine, natural to supernatural, love in and with Christ, makes a true marriage, which will lead one to the Cross, through dying to self and through sacrifice. Such is the sacrament. In this sacrament, one is forced out of self-deception into the light. It is the way of the Dark Night for some, but only to end in Illumination and Union with Christ. For some, marriage is the combination of great suffering and joy-the Way of the Cross, not because someone is difficult, but because God called one to minister to another. But to be serious: If it hadn’t been for that cockie-leekie and Dr Sewell’s Epsom salts, we would not be here now. For the young man was William Lockhart. He was an Anglican student of theology with High Church leanings, convinced, among other things, of the importance of Confession and sacramental Absolution, a view not shared by Dr Sewell nor by most of his fellow Anglicans. For Lockhart, no church that did not practise it could be called part of the true Church. 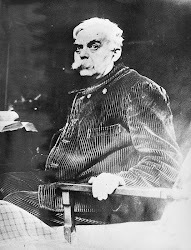 Not many years later Lockhart left the Anglican Church and was received into the Catholic Church by Fr Luigi Gentili, an Italian priest belonging to the Institute of Charity, recently founded by Antonio Rosmini. Shortly after that, Lockhart himself joined Rosmini’s Institute and was ordained a priest. He was sent to work among the poor in East London. In 1854 he became the first parish priest of Our Lady and St Joseph’s parish in Kingsland in the Borough of Hackney, still today a very flourishing parish. Fr Lockhart was phenomenally active there for the best part of twenty years, until, in 1870, Archbishop (later Cardinal) Manning suggested that the Rosminians hand the parish to the diocese and start a new parish in the Holborn area, also an area of great poverty. 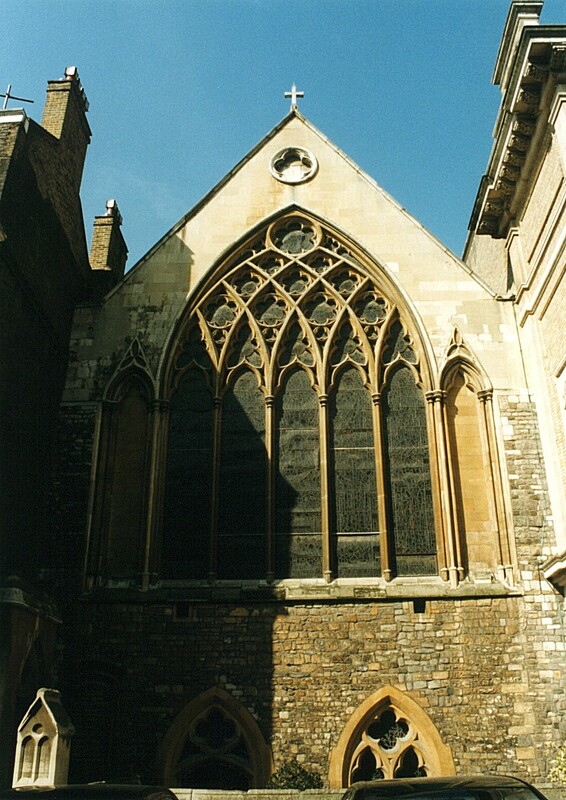 As most of you know, Fr Lockhart managed to purchase, at a knock-down price at auction, a thirteenth-century chapel in Ely Place taken from the Catholics in the sixteenth century courtesy of Henry VIII and after centuries of neglect and tasteless modification finally ending up being leased to the Welsh Episcopalians. Lockhart tells us that it would probably have been pulled down to make room for warehouses, if he hadn’t bought it. Lockhart set about restoring the church not only to the Catholic faith but also to something like its thirteenth-century simplicity and glory, the results of which restoration you can see around you. For this glory, we must thank Fr Lockhart, and many generous and imaginative souls through many generations. And, of course, we must thank The Revd Dr Sewell’s Epsom Salts, without whose hidden genius all this might never have happened. And St Etheldreda is not the only saint that our founder and first Parish Priest has linked us to. 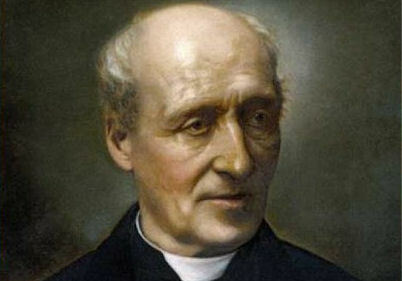 We have already mentioned Rosmini, and we shall come back to him, but Lockhart is also the parish’s link to a third saint, one whose sanctity will be proclaimed to the country and to the world in just three months’ time, that is John Henry Newman, who will be beatified by Pope Benedict on Sunday 19th September. When Lockhart first went up to Oxford as an undergraduate, Newman was already an influential religious and intellectual figure in the University. As well as being fellow and tutor at Oriel College, he was Vicar of the University Church of St Mary’s, which has been described as the ‘essence of the essence’ of nineteenth-century Anglicanism. It was while the freshman Lockhart was walking one day with a companion in High Street Oxford that he first caught sight of Newman, when his companion suddenly seized his arm and whispered: ‘Look, look, there is Newman!’ Through the mere sight of his demeanour Lockhart fell under his spell. (He later spoke of ‘the majesty of Newman’s countenance for those who have got to know him, his meekness, his intensity, his humility, the purity of a virgin heart in work and will that was expressed in his eyes, his loving kindness, his winning smile, the wonderful sweetness and pathos and delicate unstudied harmony of his voice.’) Now if Newman made such an impression on Lockhart through his outward demeanour, imagine what effect he was to have on him by the power of his intellect and the depth and intensity of his religious devotion when Lockhart became his disciple. Now it was just at the time of Lockhart’s doubts about Anglicanism (which the Epsom salts episode did nothing to dispel) that Newman himself had decided that he must leave the Church of England. 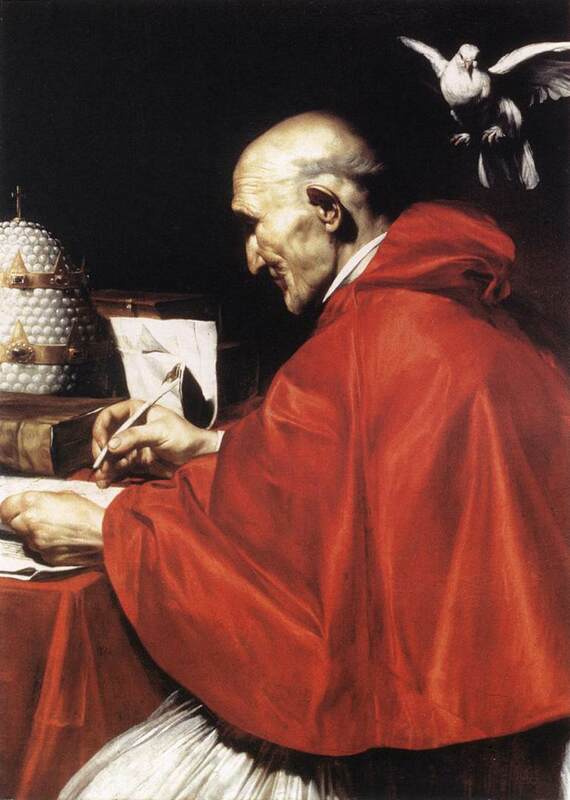 ‘I was already on my deathbed in regard to my relationship with the Church of England,’ Newman later wrote. But he never said that openly at the time, and he was very slow to make the decisive move. He did, however, virtually retire from University life to found a small monastic-like community at Littlemore on the outskirts of Oxford. Lockhart was one of the first to volunteer to join it, and Newman welcomed him. A small group of ardent Christians lived an intense Christian life together, practising a quite rigorous asceticism, broken only by the delights of conversations with Newman at dinner every evening (or occasionally by Beethoven’s sonatas played by Newman on the violin). Newman never spoke of his difficulties to Lockhart and his companions at Littlemore; and when the issue arose, he tried to discourage them from any thoughts of leaving the Church of England. When after less than a year Lockhart ‘could not bear the strain any longer’ (Lockhart’s own words), that is, the strain of reconciling his conscience with the claims of the Church of England (not the strain of listening to Newman’s violin), he left Littlemore and soon afterwards, during a visit to Fr Gentili, was received into the Catholic Church. Lockhart’s defection caused Newman great pain, but when, just two years later, Newman himself was received into the Catholic Church by the Passionist Father Dominic Barberi, one of the first things he did, Lockhart tells us, ‘was to pay me a most kind and loving visit at [the Rosminian community of] Ratcliffe College, where I was studying’. So in the person of our first parish priest we have a link not only with the blessed Etheldreda and with Rosmini, recently beatified, but also with the soon to be beatified John Henry Newman. How right and proper it would have been, I think to myself, if Newman and Lockhart had been beatified together – not because they left the Church of England together but because truth and holiness shone through their minds and personalities whether as Anglicans or as Roman Catholics. And to Rosmini too, we parishioners of St Etheldreda’s owe a special debt. For Rosmini was not just a milestone in that strange providential journey that brought Lockhart from Oxford and Littlemore, via Ratcliffe College and Kingsland to London EC1. 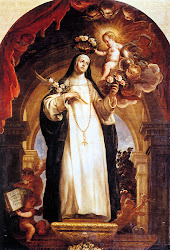 Rosmini was also the main inspiration, under God, of Lockhart’s entire life as a Catholic. As Lockhart himself put it: ‘Newman had impressed me more perhaps than any but one other man, the master of thought under whom I passed when I left Newman – Antonio Rosmini, the founder of the Order to which I have the honour to belong.’ It was Rosmini who had sent the singularly gifted Luigi Gentili and other missionaries to England to hasten the ‘Second Spring’ of English Catholicism; it was under obedience to Rosmini that Lockhart became the founder of our parish; and it was to the person of Rosmini, to his mission, and writings, that Father Lockhart devoted the rest of his life. Through Father Lockhart we have a very special access to a network of saintly persons, and not only saintly persons but gigantic figures in the history of the Church, whose spiritual stature, I am convinced, will be more and more widely recognized in the years to come. This is an unusual privilege for us as a parish. We ought to be aware of the rich history of our beginnings and be very grateful for it. 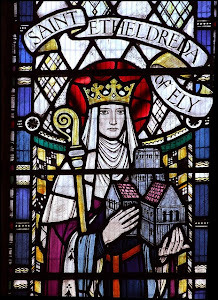 St Etheldreda became our patron saint thanks to the labours and extraordinary spiritual journeys of some very remarkable people. Others have sown, and we have reaped the harvest. 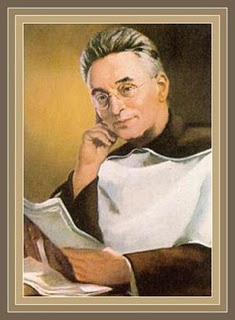 1 I am indebted to Fr Nicholas Schofield for the anecdote about Lockhart, cockie-leakie and Epsom salts. Two snippets from the article..
...the Fatal Vespers of 1623 and we know that one of the bodies concerned was a priest, because he was buried facing the West. It was on Sunday 26th October 1623, when a number of Catholics gathered in secret at the French Ambassador’s house in Blackfriars to hear a special sermon; but unfortunately, the floor of the room in which they gathered collapsed and over a hundred were killed and such was the anti-Catholic feeling that they were not allowed to be buried publicly but they had to be buried in secret; and eighteen of them were interred in the Crypt of St Etheldreda’s and they lie there to this day. During the First World War, because the Catholic Chapel of America’s West Point Military Academy was modelled on St Etheldreda’s, the latter found a special place in the hearts of American servicemen on their way to and from the battlefields of the Western Front. What happens when lay people refuse grace? Recently, several situations which I have witnessed revealed to me what happens when lay people refuse a call to sacrifice, a call to grace. The first is a young couple I knew in a large double city in the upper Midwest, a couple which had horrible marriage problems. The woman wanted to control the husband. Friends encouraged them to get marriage counseling, but they lost many things in the process, as the lifestyle had to change. The man had to learn to be less passive and stronger, a real leader in the family, (they had one child), and the woman had to learn to stop being angry, aggressive and controlling. The trouble was that for a long time, both were refusing grace, running around in circles, attempting to "fix" the marriage on their own. The problems were much deeper than going out to dinner together or going to Mass on Sunday, or even praying daily together. They needed someone else on the outside to help them. Pride kept them isolation until separation and divorce loomed. They both had to repent of habits of sin-for the man, wanting a quiet life and not wanting to confront real problems, for the woman, wanting "to wear the pants in the family". They got Catholic counseling, which helped. But, there were years of unhappiness, even hatred, because the couple refused grace. 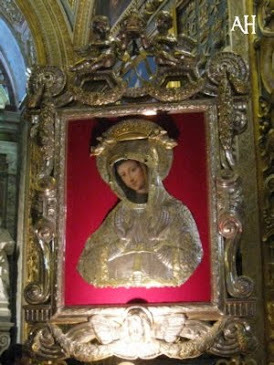 The second concerns the house I had asked readers to help me obtain for 24/7 adoration in a place where Our Lady has a shrine. There is no adoration there and no center for those who want to have a Latin Mass. I felt called to do both, but could not find a benefactor. Now, the house, which was tailor-made for a community, has been bought and lived in by a "ss" couple. I knew that would happen if those who could did not respond to grace. I even wrote on this blog that God showed me the possibility of a take-over in this town of ss couples and businesses. Not only is an opportunity for grace in generosity lost. but the damage done by not responding is the proliferation of a great evil. Constant adoration would change the place, as Christ's Church Militant would be given a foothold. The third situation has to do with someone who is living a lie in his life. Those around them do not want to face this huge lie, as they are too afraid to confront the really deep sin of this person. They are afraid of anger, hatred, loss of friendship. They are putting friendship before grace. If this person continues, his soul is in danger of being lost forever. How will God judge his friends for not speaking up? The turning of one's back on grace is the sin of denying that God can help in a situation. God may be asking YOU to be the instrument of grace. The Gospel does not say "Love your neighbor as yourself, but let someone else do the hard bit." Are we all not our brother's keepers? Yes, love means moving out of one's comfort zone, praying for discernment, and acting. 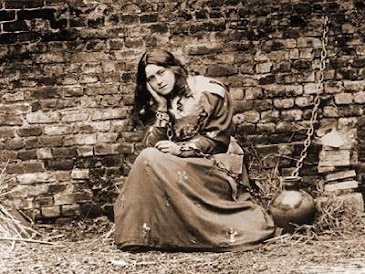 Years ago, another Catholic woman said to me, after we prayed for a person's conversion, and after she talked with this woman, that perhaps it was not the right time for conversion. My answer was this: We do not know the day or the hour.....all times are right for conversion. We must speak, even if we plant seeds and not reap the harvest. But, act we must. These are not times of passivity, but times of action. Daily, I see that many, many people will go to hell because the laity are afraid, miserly, or lazy. Conversion, building the Kingdom of God, is our business. And it hurts. If you are not suffering for someone else, you are not working for God. I grieve for the lost opportunity of adoration. Much evil will now come from that lost opportunity. I grieve for the man whose friends are not willing to speak with him about deep sin. He may go to hell when he dies. I grieve for the couple's wasted years, for the pain in their marriage, and damage done to their child. If we refuse grace, we are culpable for the loss of souls. This is one reason I write-to build the Kingdom of God. But, please, do not refuse grace. Remember, there is no neutral territory. 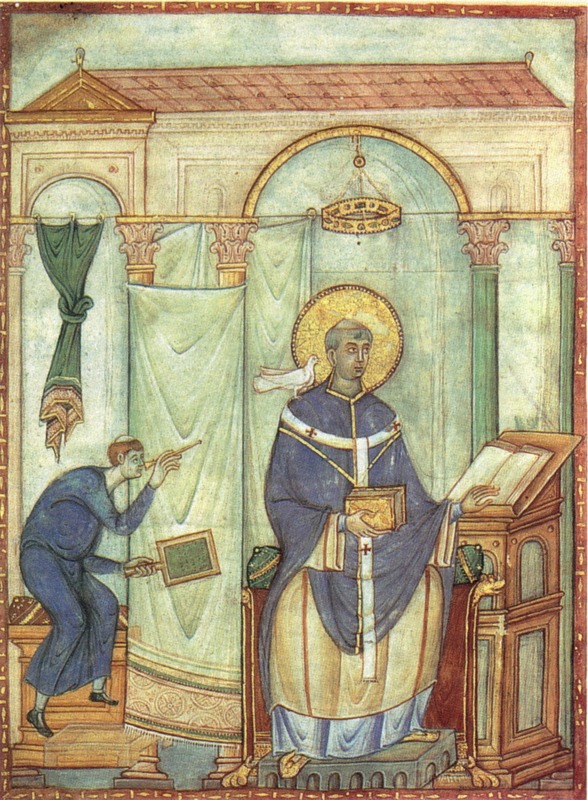 Gregory the Great is called "The Apostle to the English" as he sent the missionaries from the Benedictines, which began the great monastery at Canterbury. Of course, this wonderful Doctor of the Church gives his name to Gregorian Chant. What better tribute today than an English choir singing Gregorian Chant. One day, when St. Gregory the Great was aware of a person in his congregation who did not believe in the Real Presence, he stopped and asked God for a sign for this person. At the Consecration, Christ appeared with His Bloody Wounds. Such was the faith and care of this great saint. 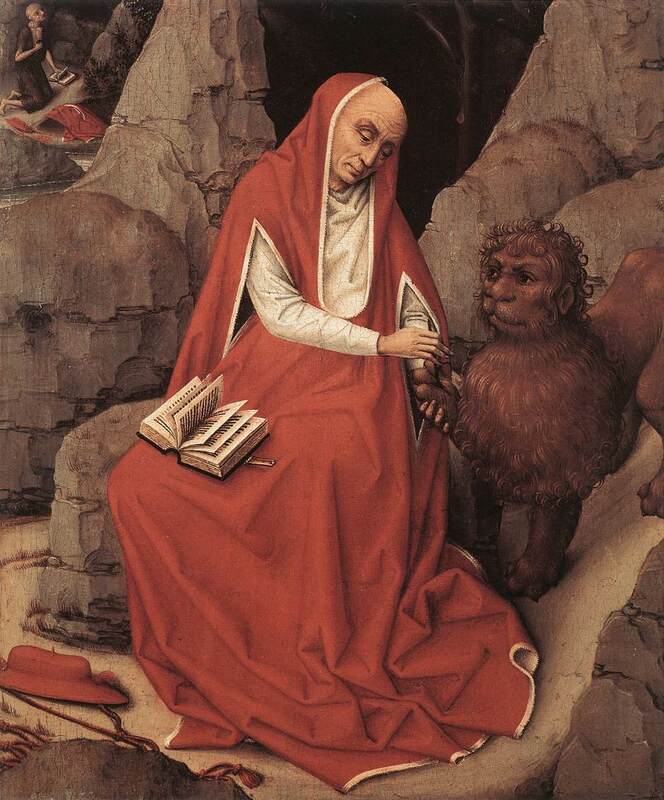 Gregory the Great, like St. Jerome, was a intrepid letter writer. I have chosen one out of many to show his real concern for practical matters. Nothing should escape the attention of a holy man. To Peter, Subdeacon of Sicily. Gregory to Peter, &c.
By information received from Romanus the guardian (defensore) I have learnt that the monastery of handmaidens of God which is on the farm of Monotheus has suffered wrong from our church of Villa Nova with respect to a farm belonging to the latter, which is said to have been leased to the said monastery. If this is so, let thy Experience restore to them the farm, and also the payments from the same farm for the two indictions during which thou hast exacted them. Moreover, since many of the Jews dwell on the estates of the Church, I desire that, if any of them should be willing to become Christians, some little of their dues be remitted to them, to the end that others also, incited by this benefit, may be moved to a like desire. Cows which are now barren from age, or bulls which appear to be quite useless, ought to be sold, so that at least some profit may accrue from their price. But as to the herds of mares which we keep very unprofitably, I wish them all to be dispersed, and four hundred only of the younger kept for breeding; which four hundred ought to be presented to the farmers  --so many to each, to the end that they may make some return to us from them in successive years: for it is very hard for us to spend sixty solidi on the herdsmen, and not get sixty pence from these same herds. Let then thy Experience so proceed that some may be divided among all the farmers, and others dispersed and converted into money. But so arrange with the herdsmen themselves throughout our possessions that they may be able to make some profit by cultivation of the ground. All the implements which, either at Syracuse or at Panormus, can be claimed by the Church must be sold before they perish entirely from age. On the arrival of the servant of God, brother Cyriacus, at Rome I questioned him closely as to whether he had communicated with thee about the receiving of a bribe in the cause of a certain woman. And the same brother says that he had learnt the state of the case from thy telling him, for that he had been commissioned by thee to ascertain who was the person commissioned to pay the bribe. This I believed, and immediately received him familiarly into favour, introduced him to the people and clergy, increased his stipend  , placed him in a superior rank among the guardians, praising his fidelity before all, in that he had acquitted himself so faithfully in thy service; and I have consequently sent him back to thee. But, inasmuch as thou art in great haste, and I, though sick, am desirous of seeing thee, do thou leave some one whom thou hast fully proved to take thy place in the Syracusan district, and thyself make haste to come to me, that, if it should please Almighty God, we may consult together as to whether thou thyself oughtest to return thither or another person should be appointed in thy place. 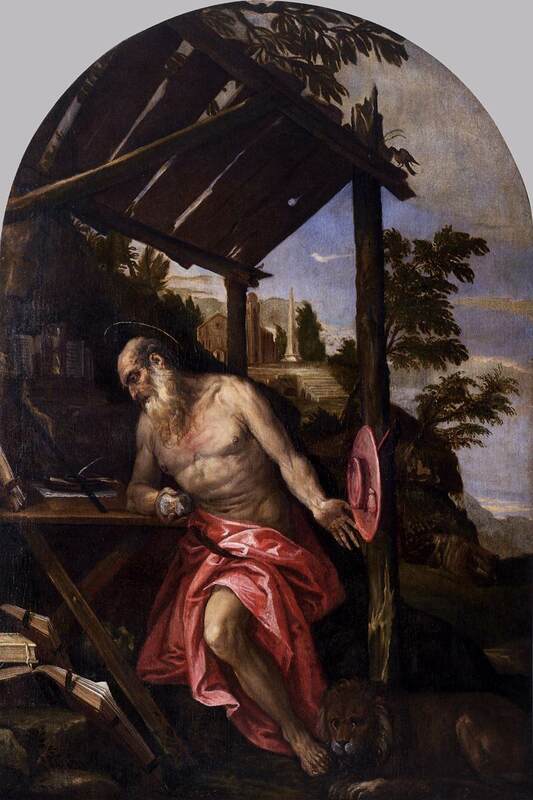 At the same time I have sent Benenatus the notary to occupy thy place in the patrimony in the district of Panormus till such time as Almighty God may ordain what pleases Him. I have strongly rebuked Romanus for his levity, because in the Guest-house (xenodochium) which he kept, as I have now discovered, he has been taken up more with his own profits than with [heavenly] rewards. Him, therefore, if it should haply seem good to thee, leave in thy place. See how thou mayest best fortify him, by alarming and admonishing him, that he may act kindly and carefully towards the peasants (rusticos  ); and shew himself towards strangers and townspeople changed and active. In saying this, however, I am not selecting any person, but leave this to thy judgment. It is enough for me to have selected an occupier of thy place in the district of Panormus; and I wish thee to see thyself to providing one for the Syracusan district. When thou comest, bring with thee the moneys and ornaments (ornamenta) on the part, or of the substance of Antoninus. Bring also the payments of the ninth and tenth indictions which thou hast exacted, and with them all thy accounts. Take care, if it should please God, to cross the sea for this city before the anniversary of Saint Cyprian, lest any danger should ensue (which God forbid) from the constellation which always threatens the sea at that season. 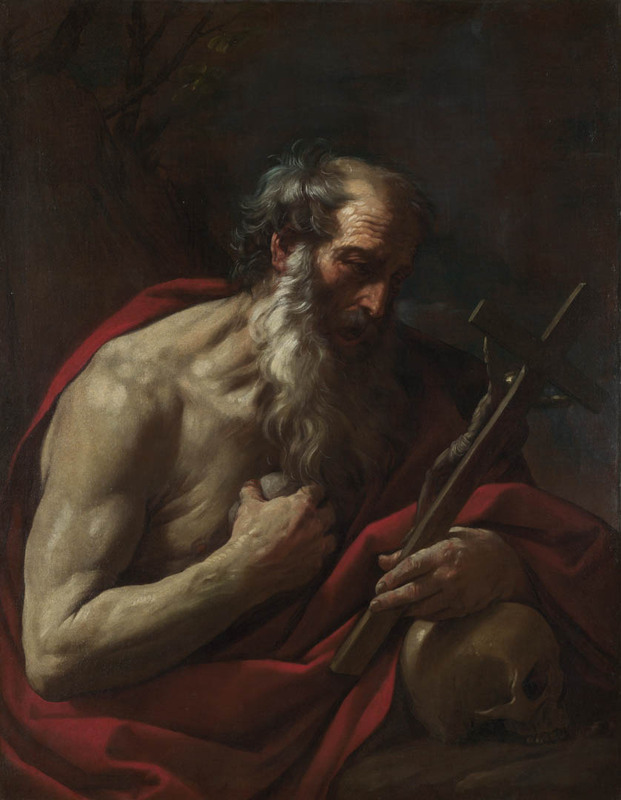 Furthermore, I would have thee know that I have no slight compunctions of mind for having been grievously set against the servant of God Pretiosus for no grievous fault of his, and driven him from me, sad and embittered. And I wrote to the Lord bishop  requesting him to send the man to me, if willing to do so; but he was altogether unwilling. Now him I ought not to distress, nor can I do so; since, occupied as he is in the causes of God, he ought to be supported by comfort, not depressed by bitterness. 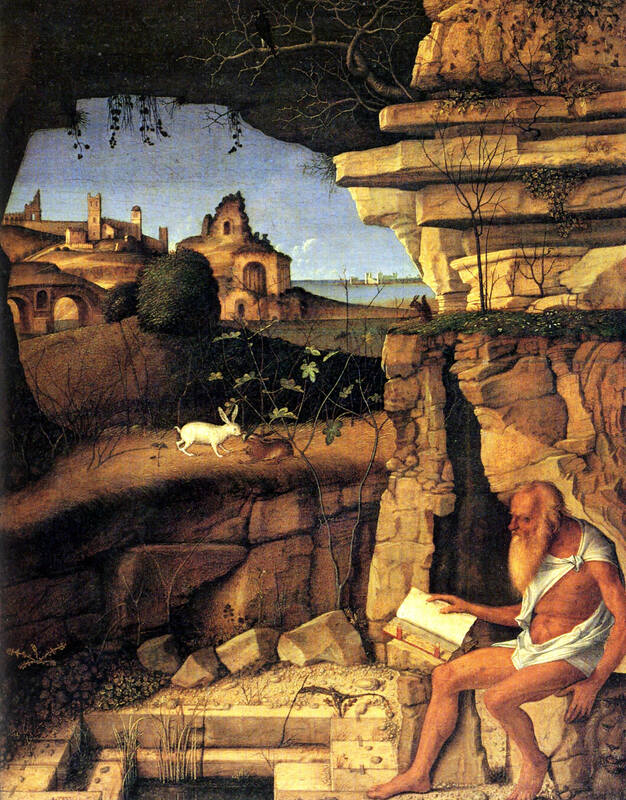 But the said Pretiosus, as I hear, is altogether distressed because he cannot return to me. I, however, as I have said, cannot distress the Lord bishop, who is not willing to send him, and I am doubtful between the two. Do thou then, if in thy little diminutive body thou hast the greater wisdom, manage the matter so that I may have my will, and the Lord bishop be not distressed. Yet, if thou see him to be at all distressed, say no more about it. I have, however, taken it amiss that he has excommunicated the Lord Eusebius  , a man of so great age and in such bad health. Wherefore it is needful for thee to speak privately to the said Lord bishop, that he be not hasty in pronouncing sentences, since cases which are to be decided by sentences must needs be weighed beforehand with careful and very frequent consideration. 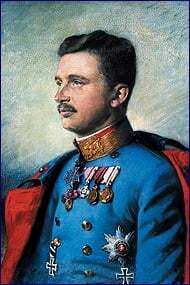 When the recruiting officers  come, who, as I hear, are already raising recruits in Sicily, charge thy substitute to offer them some little present  , so as to render them well-disposed towards him. But, before thou comest away, give also something, according to ancient custom, to the prætor's officials; but do it by the hands of him thou leavest in thy place, so as to conciliate their favour towards him. Also, lest we should seem to them to be at all uncivil, direct thy substitutes to carry out in all respects the orders we have given to thy Experience as to what is to be given to any individuals or monasteries. But when thou comest, we will, with the help of God consider together how these things should be arranged. The three hundred solidi which I sent to be given through thee to the poor I do not think ought to be committed to their discretion. Let them carry out, then, those directions I have spoken of with reference to particular places and persons. Now I remember having written before now to say that the legacies, which, according to the representation of Antoninus the guardian (defensoris), are due from us to monasteries or others, were to be paid as had been appointed. And I know not why thy Experience has delayed to accomplish this. Wherefore we desire thee to pay in full our portion of these legacies from the moneys of the church, that when thou comest to me, thou mayest not leave there the groans of the poor against thee. Bring also with thee at the same time the securities which have been found relating to the substance of the same Antoninus. I have learnt on the information of Romanus that the wife of Redemptus, when dying, directed by word of mouth one silver shell to be sold, and the proceeds given to her freedmen, and also left a silver platter to a certain monastery; in respect of both of which bequests we desire her wishes to be fully carried out, lest from the least things we be betrayed into greater sins. Further, I have learnt on the information of the Abbot Marinianus that the building in the Prætorian Monastery is not yet even half completed: which being the case, what can we praise for it but thy Experience's fervour  ? But even now let this admonition rouse thee; and, as far as thou canst, assert thyself in the construction of this same monastery. I said that nothing was to be given them for the cost; but I did not prohibit their building the monastery. 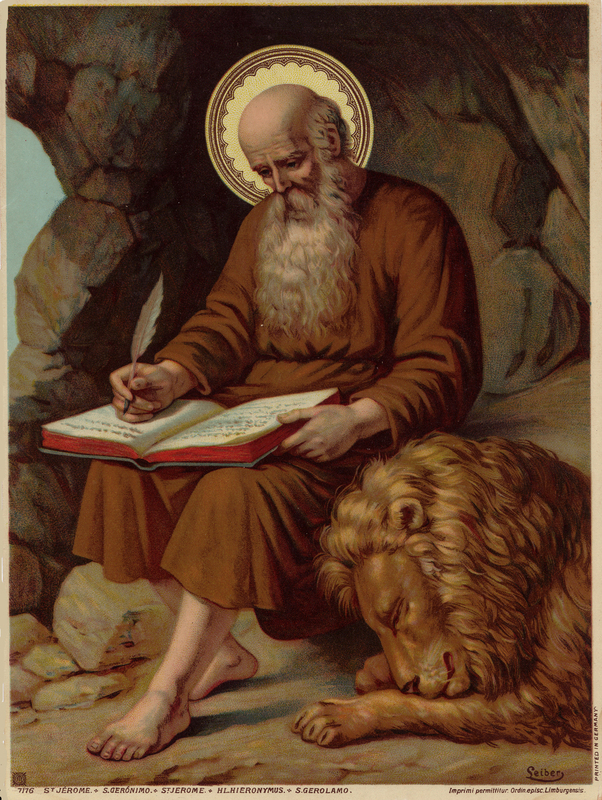 But so proceed as to enjoin in all ways on him whom thou mayest depute in thy place at Panormus that he construct this same monastery at the charge of the ecclesiastical revenue, and that I may have no more private complaints from the abbot. Moreover, I have learnt that thou knowest certain things on the farms, even in considerable numbers, to belong to others; but, owing to the entreaty of certain persons or to timidity, thou art afraid to restore them to their owners. But, if thou wert truly a Christian, thou wouldest be afraid of the judgment of God more than of the voices of men. Take notice that I unceasingly admonish thee on this matter; which if thou neglect to set right, thou wilt have also my voice for witness against thee. If thou shouldest find any of the laity fearing God who might receive the tonsure and become agents under the rector  , I give my full con sent. It will be necessary that letters also be sent to them. Concerning the case of the son of Commissus the scholasticus  , thou hast taken advice; and it appears that what he claims is not just in law. We are unwilling to burden the poor to their disadvantage; but, inasmuch as he has given himself trouble in this matter, we desire thee to give him fifty solidi, which must certainly be charged in thy accounts. As to the expense thou hast incurred on the business of the Church in the case of Prochisus, either reimburse thyself there out of his revenues, or, should his revenues be clearly insufficient for the repayment, thou must needs receive what is due to thee here from the deacon. 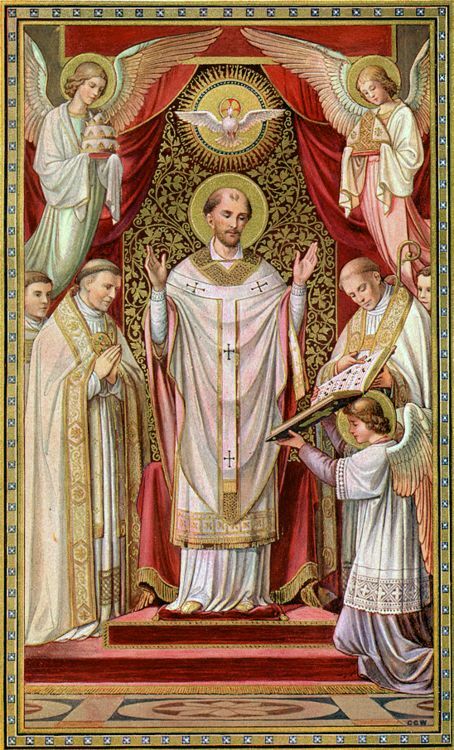 But presume not to say anything about Gelasius the subdeacon, since his crime calls for the severest penance even to the end of his life. Furthermore, thou has sent me one sorry nag and five good asses. That nag I cannot ride, he is such a sorry one; and those good asses I cannot ride, because they are asses. But we beg that, if you are disposed to content us, you will let us have something suitable. We desire thee to give to the abbot Eusebius a hundred solidi of gold, which must certainly be charged in thy accounts. We have learnt that Sisinnius, who was a judge at Samnium, is suffering from grievous want in Sicily, to whom we desire thee to supply twenty decimates  of wine and four solidi yearly. 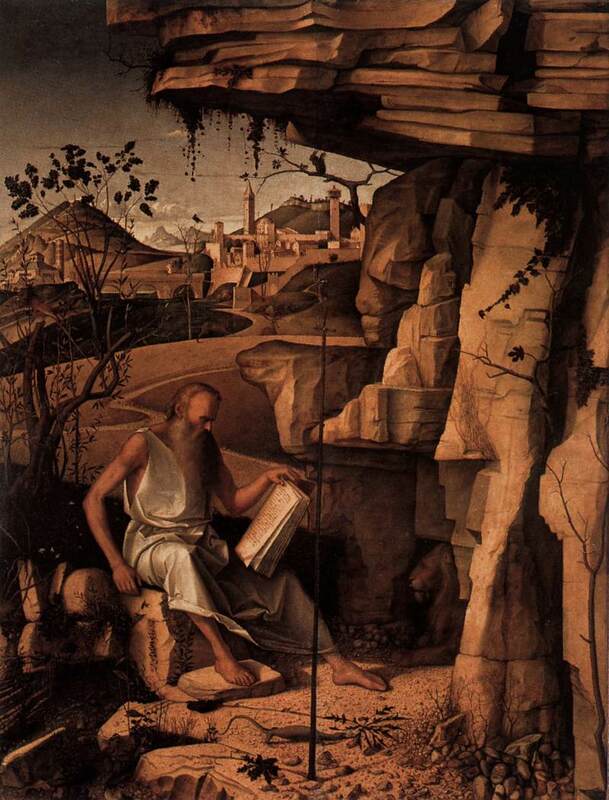 Anastasius, a religious person (religiosus  ), is said to be living near the city of Panormus in the oratory of Saint Agna, to whom we desire six solidi of gold to be given. We desire also six solidi, to be charged in thy accounts, to be given to the mother of Urbicus the Prior  . As to the case of the handmaiden of God, Honorata, what seems good to me is this: that thou shouldest bring with thee when thou comest all her substance which evidently existed before the time of the episcopate of John, bishop of Laurinum  . But let the same handmaiden of God come with her son, that we may speak with her, and do whatever may please God. The volume of the Heptateuch  out of the goods of Antoninus we desire to be given to the Prætorian monastery, and the rest of his books to be brought hither by thee. Conductores. See I. 44, note 6. Presbyterium. The term, as here used, means apparently a pecuniary allowance to presbyters. Cf. 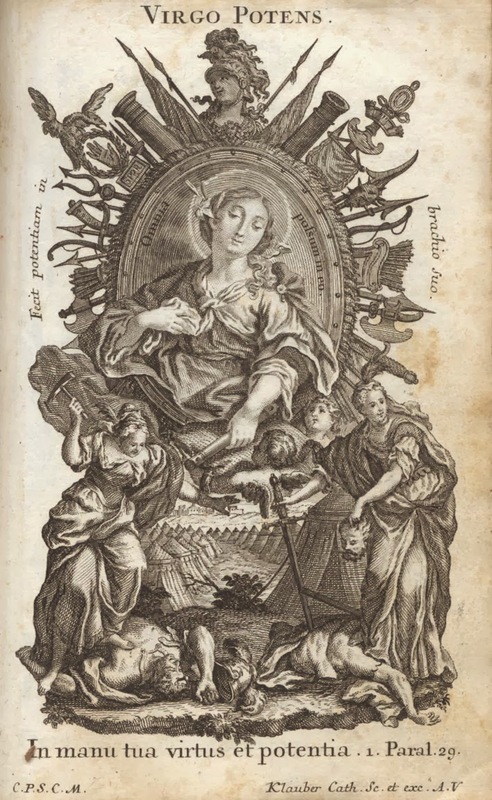 V. 33, Ad Gaudentiam Episcopum; "Fraternitatem tuam præsentibus hortamur affatibus ut clericis Capuanæ Ecclesiæ quartam in presbyterium eorum de hoc quod ante dictæ ecclesiæ singulis annis accesserit juxta antiquam consuetudinem distribuere secundum personarum studeat qualitatem, quatenus aliquod stipendiorum habentes solatium, ministerium officiumque suum circa eamdem ecclesiam devotiore mente provocentur impendere." See I. 44, note 1. Maximianus (as appears from Epistle 34), whom Gregory had himself appointed bishop of Syracuse. Cf. II. 7, and note. 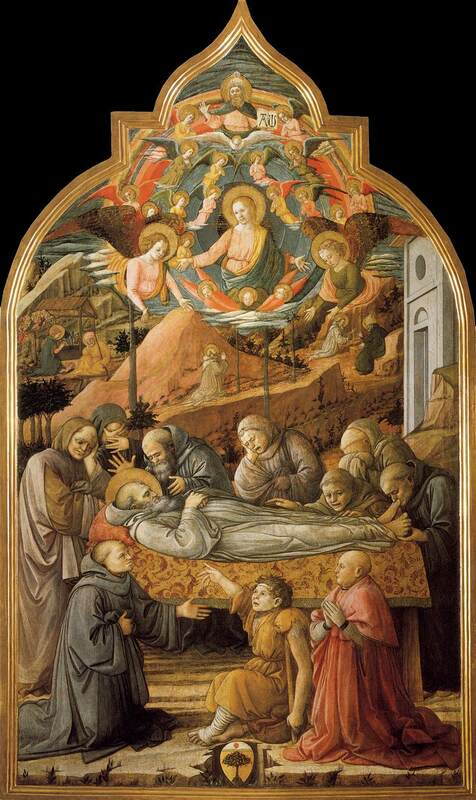 This Eusebius was an abbot in Sicily. Letters follow about him to Maximianus (Ep. 34), and to him (Ep. 36). Scribonibus. The term denoted officers sent from the imperial court into the provinces for executing certain duties; in this case for raising recruits for the imperial army. Cf. V. 30, note 8. Parum aliquid xenii. On xenia, see II. 23, note 8. We note here the sarcastic vein in which Gregory from time to time pleasantly stimulates Peter to activity. I.e. the rector patrimonii. The purport of this direction seems be that agents from the laity might be appointed with advantage to assist the rector patrimonii; and these must first be made clerici by receiving the tonsure, so as to be qualified to act for the Church. The rectors themselves were usually at least subdeacons. 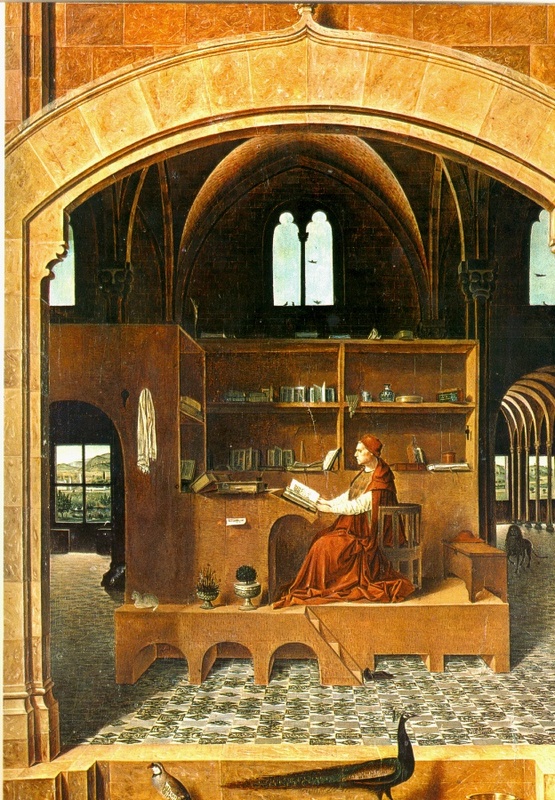 Scholastici. The designation appears to have been applied generally to scholarly and learned persons. Cf. Hieron. in Catal. Scriptor. Eccles., "Serapion ob elegantiam ingenii cognomen scholastici meruit." In Gregory's Epistles it seems to denote usually men learned in the law, who might advise on legal points or sit as assessors. In I. 44 (to Peter the subdeacon) scholastici are spoken of as having given a legal opinion, Epistle 36 in Bk. IX. is addressed "Severo scholastico exarchi," and he is spoken of as one of those "qui assistant judicibus." Cf. also IX. 58, 59, for the employment of "Martinus Scholasticus, vir eloquentissimus," in a case of disputed jurisdiction over the primate of the African province of Bizacia. Such scholastici were evidently persons of importance. 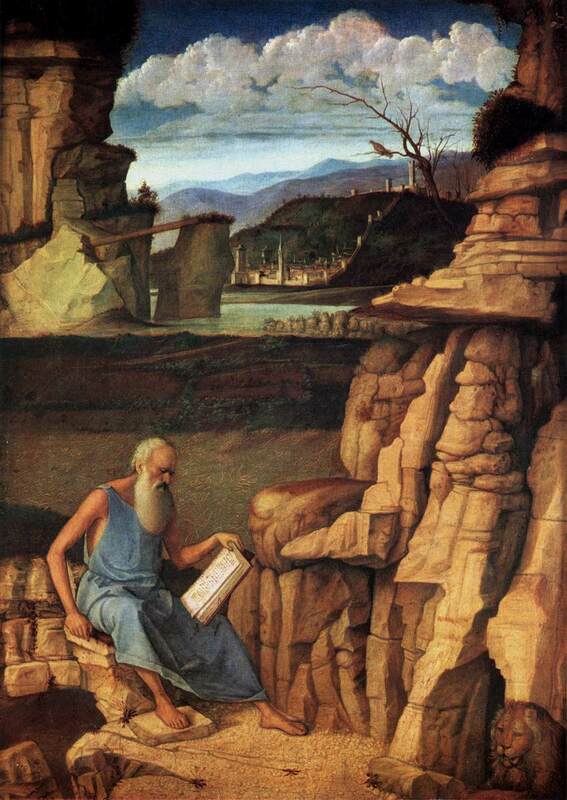 Gregory addresses them by the title of "Gloria vestra" (IV. 40), and of "Magnitudo tua" (IX. 58). In IX. 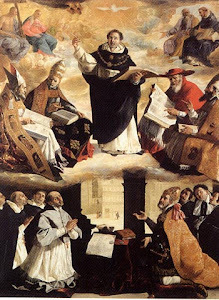 12 he speaks of the form of prayer which followed the words of institution in the Canon of the Mass as having been composed by a scholasticus (precem quam scholasticus composuerat), perhaps using the term in the general sense of a scholar. See I. 46, note. See I. 61, note 7. Præpositi. The word, though used also in a more general sense, usually denotes the Prior of a monastery, appointed as the Abbot's vice-gerent. Episcopi Laurinensis. If the reading is correct, the See intended is unknown. Holstein (Annot. in Geograph. Sacra, p. 21) suggests Carinensem, denoting the Sicilian See of Carine, or Camarina. I.e. the first seven books of the Bible. 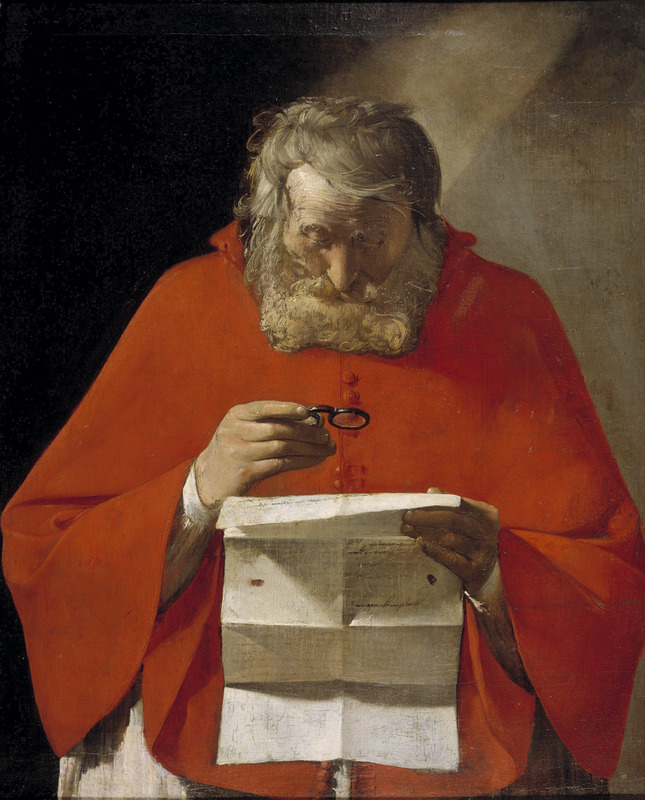 In the perfection series using the Doctors of the Church, one has a hard time choosing something from St. Gregory, one of the few popes to be called "great". 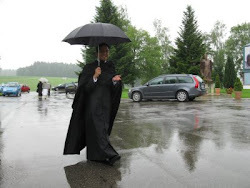 I have chosen a selection from his famous life of St. Benedict (Life of Our Most Holy Father St. Benedict) because it perfectly describes the purgation of the senses in the Dark Night. How he overcame a temptation of the flesh. The holy man being on a certain day alone, the tempter was at hand; for a little black bird, commonly called an ousel, began to fly about his face, and that so near as the holy man, if he would. might have taken it with his hand; but no sooner had he made the sign of the cross than the bird vanished. When presently so great a carnal temptation assailed him, that before the holy man had never felt the like. For the remembrance of a woman which some time he had seen, was so lively represented to his fancy by the wicked spirit, and so vehemently did her image inflame his breast with lustful desires, that almost overcome by pleasure, he was determining to leave the wilderness. But suddenly assisted with divine grace he came to himself, and, seeing near him a thicket full of nettles and briars, he threw off his garments and cast himself naked into the midst of those sharp thorns and nettles, where he rolled himself so long, that, when he rose up, all his body was pitifully rent; thus by the wounds of his flesh he cured those of his soul, by turning pleasure into pain; and by the vehemence of outward torments he extinguished the unlawful flame which burnt within overcoming sin by changing the fire. After which time, as he himself related to his disciples, he was so free from the like temptation, that he never felt any such motion. Many after this began to forsake the world and to hasten to put themselves under his government. Being now altogether free from vice, he worthily deserved to be made a master of virtue. As it is commanded by Moses that the Levites should serve from five and twenty years and upward, and after fifty years they should be appointed to keep the holy vessels. Jerome was a great letter writer. He wrote to his friends great letters of loving friendship. Some of his closest friends were pious women. 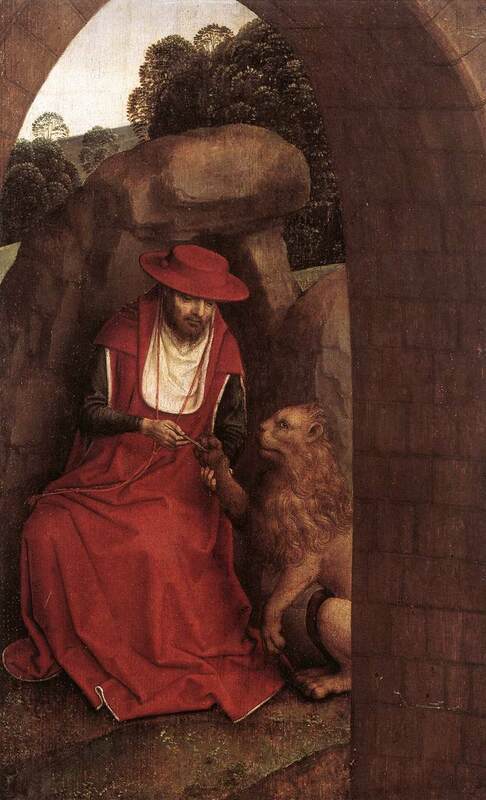 Jerome struggled on the road to perfection. I like to read his comments, as they apply to my own life of trying to form the day around God's Will. His words speak to us today, those of us on the road to perfection. Here are snippets from his works. 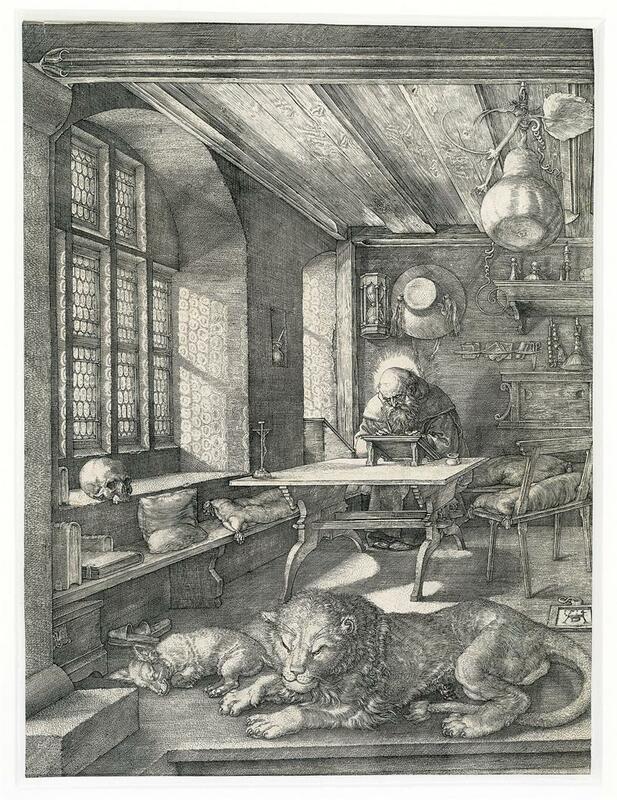 Letter XII. 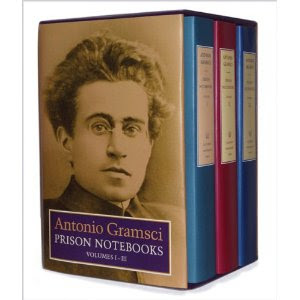 To Antony, Monk. The subject of this letter is similar to that of the preceding. Of Antony nothing is known except that some mss. describe him as “of Æmona.” The date of the letter is 374 a.d.
Now, unless I am mistaken, I have already sent you ten letters, affectionate and earnest, whilst you have not deigned to give me even a single line. The Lord speaks to His servants, but you, my brother servant, refuse to speak to me. Believe me, if reserve did not check my pen, I could show my annoyance in such invective that you would have to reply—even though it might be in anger. But since anger is human, and a Christian must not act injuriously, I fall back once more on entreaty, and beg you to love one who loves you, and to write to him as a servant should to his fellow-servant. Farewell in the Lord. And, part of, perhaps, his most famous letter of all...only part. Perhaps the most famous of all the letters. In it Jerome lays down at great length (1) the motives which ought to actuate those who devote themselves to a life of virginity, and (2) the rules by which they ought to regulate their daily conduct. The letter contains a vivid picture of Roman society as it then was—the luxury, profligacy, and hypocrisy prevalent among both men and women, besides some graphic autobiographical details (§§7, 30), and concludes with a full account of the three kinds of monasticism then practised in Egypt (§§34–36). Thirty years later Jerome wrote a similar letter to Demetrias (CXXX. ), with which this ought to be compared. Written at Rome 384 a.d.
2. I write to you thus, Lady Eustochium (I am bound to call my Lord’s bride “lady”), to show you by my opening words that my object is not to praise the virginity which you follow, and of which you have proved the value, or yet to recount the drawbacks of marriage, such as pregnancy, the crying of infants, the torture caused by a rival, the cares of household management, and all those fancied blessings which death at last cuts short. Not that married women are as such outside the pale; they have their own place, the marriage that is honorable and the bed undefiled.345 My purpose is to show you that you are fleeing from Sodom and should take warning by Lot’s wife.346 There is no flattery, I can tell you, in these pages. A flatterer’s words are fair, but for all that he is an enemy. You need expect no rhetorical flourishes setting you among the angels, and while they extol virginity as blessed, putting the world at your feet. 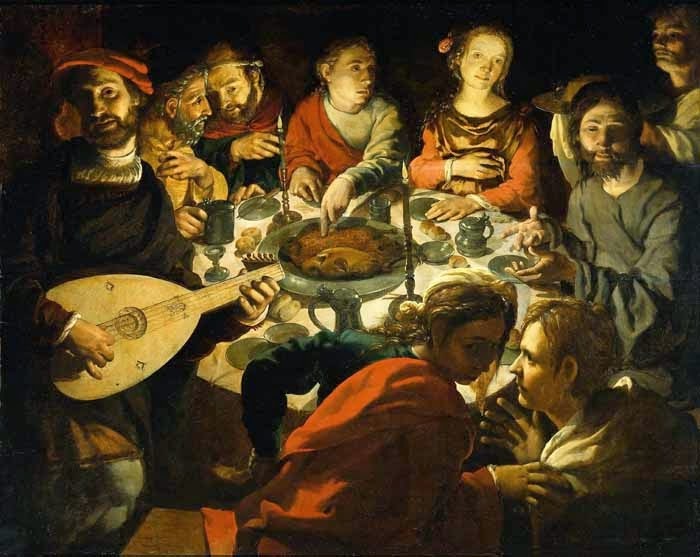 And Daniel, who might have had rich food from the king’s table,405 preferred the mower’s breakfast, brought to him by Habakkuk,406 which must have been but country fare. He was called “a man of desires,”407 because he would not eat the bread of desire or drink the wine of concupiscence. 10. There are, in the Scriptures, countless divine answers condemning gluttony and approving simple food. But as fasting is not my present theme and an adequate discussion of it would require a treatise to itself, these few observations must suffice of the many which the subject suggests. By them you will understand why the first man, obeying his belly and not God, was cast down from paradise into this vale of tears;408 and why Satan used hunger to tempt the Lord Himself in the wilderness;409 and why the apostle cries: “Meats for the belly and the belly for meats, but God shall destroy both it and them;”410 and why he speaks of the self-indulgent as men “whose God is their belly.”411 For men invariably worship what they like best. Care must be taken, therefore, that abstinence may bring back to Paradise those whom satiety once drove out. The terms are chosen for decency’s sake, but the reproductive organs of the two sexes are meant. 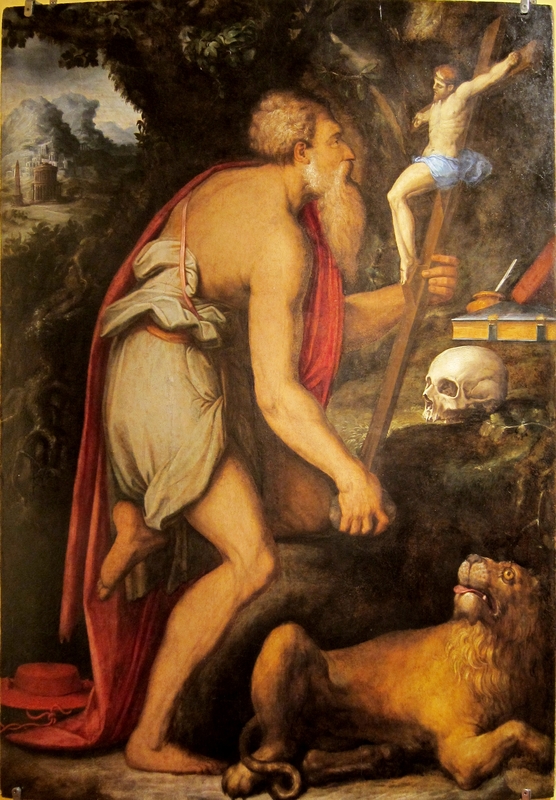 Thus, the descendant of David, who, according to the promise is to sit upon his throne, is said to come from his loins.414 And the seventy-five souls descended from Jacob who entered Egypt are said to come out of his thigh.415 So, also, when his thigh shrank after the Lord had wrestled with him,416 he ceased to beget children. The Israelites, again, are told to celebrate the passover with loins girded and mortified.417 God says to Job: “Gird up thy loins as a man.”418 John wears a leathern girdle.419 The apostles must gird their loins to carry the lamps of the Gospel.420 When Ezekiel tells us how Jerusalem is found in the plain of wandering, covered with blood, he uses the words: “Thy navel has not been cut.”421 In his assaults on men, therefore, the devil’s strength is in the loins; in his attacks on women his force is in the navel. 13. I cannot bring myself to speak of the many virgins who daily fall and are lost to the bosom of the church, their mother: stars over which the proud foe sets up his throne,428 and rocks hollowed by the serpent that he may dwell in their fissures. You may see many women widows before wedded, who try to conceal their miserable fall by a lying garb. Unless they are betrayed by swelling wombs or by the crying of their infants, they walk abroad with tripping feet and heads in the air. Some go so far as to take potions, that they may insure barrenness, and thus murder human beings almost before their conception. Some, when they find themselves with child through their sin, use drugs to procure abortion, and when (as often happens) they die with their offspring, they enter the lower world laden with the guilt not only of adultery against Christ but also of suicide and child murder. Yet it is these who say: “‘Unto the pure all things are pure;’429 my conscience is sufficient guide for me. A pure heart is what God looks for. Why should I abstain from meats which God has created to be received with thanksgiving?”430 And when they wish to appear agreeable and entertaining they first drench themselves with wine, and then joining the grossest profanity to intoxication, they say “Far be it from me to abstain from the blood of Christ.” And when they see another pale or sad they call her “wretch” or “manichæan;”431 quite logically, indeed, for on their principles fasting involves heresy. When they go out they do their best to attract notice, and with nods and winks encourage troops of young fellows to follow them. Of each and all of these the prophet’s words are true: “Thou hast a whore’s forehead; thou refusest to be ashamed.”432 Their robes have but a narrow purple stripe,433 it is true; and their head-dress is somewhat loose, so as to leave the hair free. From their shoulders flutters the lilac mantle which they call “ma-forte;” they have their feet in cheap slippers and their arms tucked up tight-fitting sleeves. Add to these marks of their profession an easy gait, and you have all the virginity that they possess. Such may have eulogizers of their own, and may fetch a higher price in the market of perdition, merely because they are called virgins. But to such virgins as these I prefer to be displeasing. Similarly, when Moses and Joshua were bidden to remove their shoes because the ground on which they stood was holy,474 the command had a mystical meaning. So, too, when the disciples were appointed to preach the gospel they were told to take with them neither shoe nor shoe-latchet;475 and when the soldiers came to cast lots for the garments of Jesus476 they found no boots that they could take away. 30For the Lord could not Himself possess what He had forbidden to His servants. 20. I praise wedlock, I praise marriage, but it is because they give me virgins. I gather the rose from the thorns, the gold from the earth, the pearl from the shell. “Doth the plowman plow all day to sow?”477 Shall he not also enjoy the fruit of his labor? Wedlock is the more honored, the more what is born of it is loved. Why, mother, do you grudge your daughter her virginity? She has been reared on your milk, she has come from your womb, she has grown up in your bosom. Your watchful affection has kept her a virgin. Are you angry with her because she chooses to be a king’s wife and not a soldier’s? She has conferred on you a high privilege; you are now the mother-in-law of God. “Concerning virgins,” says the apostle, “I have no commandment of the Lord.”478 Why was this? Because his own virginity was due, not to a command, but to his free choice. For they are not to be heard who feign him to have had a wife; for, when he is discussing continence and commending perpetual chastity, he uses the words, “I would that all men were even as I myself.” And farther on, “I say, therefore, to the unmarried and widows, it is good for them if they abide even as I.”479 And in another place, “have we not power to lead about wives even as the rest of the apostles?”480 Why then has he no commandment from the Lord concerning virginity? Because what is freely offered is worth more than what is extorted by force, and to command virginity would have been to abrogate wedlock. It would have been a hard enactment to compel opposition to nature and to extort from men the angelic life; and not only so, it would have been to condemn what is a divine ordinance. 22. How great inconveniences are involved in wedlock and how many anxieties encompass it I have, I think, described shortly in my treatise—published against Helvidius502—on the perpetual virginity of the blessed Mary. It would be tedious to go over the same ground now; and any one who pleases may draw from that fountain. But lest I should seem wholly to have passed over the matter, I will just say now that the apostle bids us pray without ceasing,503 and that he who in the married state renders his wife her due504 cannot so pray. Either we pray always and are virgins, or we cease to pray that we may fulfil the claims of marriage. Still he says: “If a virgin marry she hath not sinned. Nevertheless such shall have trouble in the flesh.”505 At the outset I promised that I should say little or nothing of the embarrassments of wedlock, and now I give you notice to the same effect. 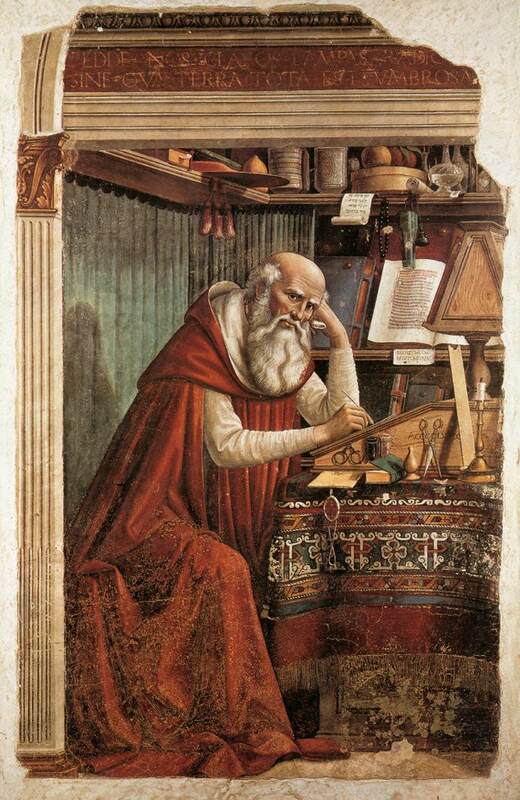 If you want to know from how many vexations a virgin is free and by how many a wife is fettered you should read Tertullian “to a philosophic friend,”506 and his other treatises on virginity, the blessed Cyprian’s noble volume, the writings of Pope Damasus507 in prose and verse, and the treatises recently written for his sister by our own Ambrose.508 In these he has poured forth his soul with such a flood of eloquence that he has sought out, set forth, and put in order all that bears on the praise of virgins. 24. Never incline your ear to words of mischief. For men often say an improper word to make trial of a virgin’s steadfastness, to see if she hears it with pleasure, and if she is ready to unbend at every silly jest. Such persons applaud whatever you affirm and deny whatever you deny; they speak of you as not only holy but accomplished, and say that in you there is no guile. 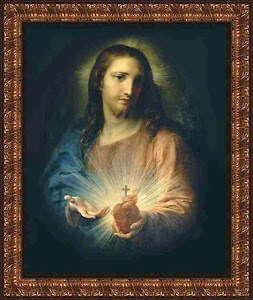 “Behold,” say they, “a true hand-maid of Christ; behold entire singleness of heart. How different from that rough, un32sightly, countrified fright, who most likely never married because she could never find a husband.” Our natural weakness induces us readily to listen to such flatterers; but, though we may blush and reply that such praise is more than our due, the soul within us rejoices to hear itself praised. 29. Many are the stratagems which the wily enemy employs against us. “The serpent,” we are told, “was more subtile than any beast of the field which the Lord God had made.”564 And the apostle says: “We are not ignorant of his devices.”565 Neither an affected shabbiness nor a stylish smartness becomes a Christian. If there is anything of which you are ignorant, if you have any doubt about Scripture, ask one whose life commends him, whose age puts him above suspicion, whose reputation does not belie him; one who may be able to say: “I have espoused you to one husband that I may present you as a chaste virgin to Christ.” Or if there should be none such able to explain, it is better to avoid danger at the price of ignorance than to court it for the sake of learning. Remember that you walk in the midst of snares, and that many veteran virgins, of a chastity never called in question, have, on the very threshold of death, let their crowns fall from their hands.